The UIDAI or Unique Identification Authority of India has introduced a new and dynamic identification system which is popularly known as Aadhaar. It contains a 12-digit Unique Identification Number or UID that records all the details, including biometric information as well as demographics, of every resident Indian. Many nations have their own Individual identification system, it is somewhat like the Social Security Number that the US government provides to its permanent citizens as well as temporary residents. However, the Aadhaar initiative of India is a revolutionary concept as it not only acts as a proof of identity and address, but also contains unforgeable information like the biometric records of a person. This makes the Aadhar card unique among all other individual identification systems. It is the believed to be the largest national identification number project in the world. 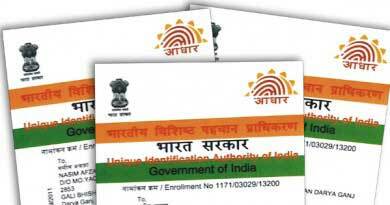 The Unique Identification Authority of India (UIDAI), which functions under the Planning Commission of India, was established in January 2009. It is an Indian Government initiative aimed at collecting the biometric data and the demographic details of each and every Indian resident. The UID stores this data in their database which is physically located at the Industrial Model Township (IMT) in Manesar at Haryana. After collecting and verifying all the necessary data, the UIDAI issues the Aadhar card to the individual. Once you have applied for your Aadhaar Card, you get an extremely convenient provision of checking the status of your Aadhaar application. This facility is activated only after you have visited an Aadhaar Enrolment Center, submitted your application form, provided your photograph along with your biometric data, completed the application process and obtained an acknowledgment slip. 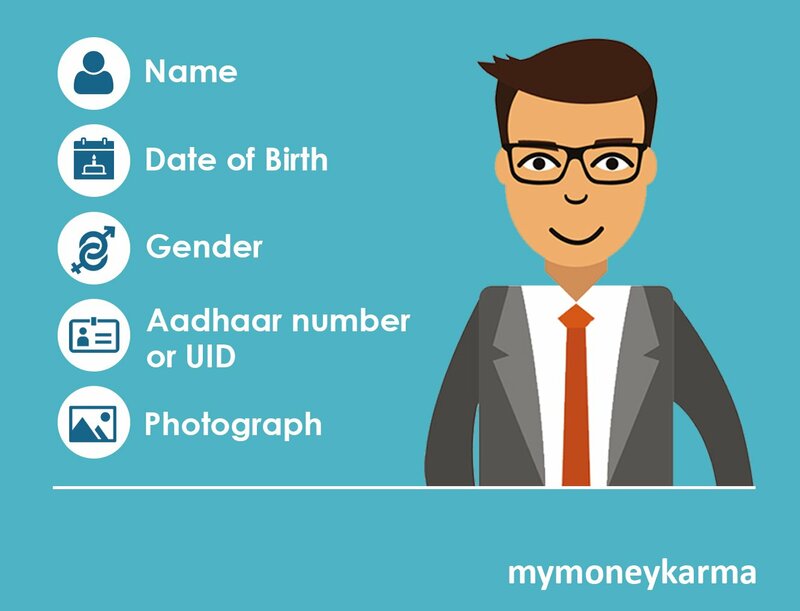 Typically, you will receive an ARN (Application Reference Number) upon successful submission of Aadhaar application, or a URN (Update Request Number) upon applying for changes or update of personal data in Aadhaar. You can use either of these numbers to conduct a quick check to know your Aadhaar card status. The process is extremely simple and available in various modes. Once you submit your Aadhaar application, UIDAI takes roughly 60-90 days to process the application and send you the physical card via post. This is the duration during which you may wish to check the current status of your application. You could simply login to the website and follow few easy steps to check your Aadhaar status, or you could use your registered mobile number for the same. Click here to get step-by-step instructions for checking the Aadhar card status. Aadhaar is gradually proceeding to become the most important document of an Indian citizen. It is not only as important as the Social Security Card of the US, but it actually comes with greater benefits. The Indian Government plans to store an individual's personal details in a centralized government database. Aadhaar is a means of gathering all such data. Apart from being an Identity Card, Aadhaar is linked to bank accounts, LPG connections, insurance policies, telephone connections and to almost every facility that a citizen avails. However, not all of us were aware of the significance and importance of Aadhaar Card when we had enrolled for it. Now that the Aadhaar is gradually becoming a crucial document, many might want to make certain changes to the data stored in Aadhaar - a misspelled name, an obsolete telephone number, fudged date of birth, change in marital status or a new residential address. Well, there's nothing to get worked up about. Updating the details in your Aadhaar card is actually a very lucid process. Your Aadhaar card stores your name, date of birth, Aadhaar number, gender, photograph, residential address and biometric data such as retinal scan and fingerprint. If you wish to change or update any of these data, you could apply for an Aadhaar Card Update. You initiate the process by visiting your nearest Aadhaar Enrolment Center or apply through post or even from the comforts of your home through the UIDAI website. However, changes in biometric data are to be made only by physically visiting the enrolment center. Wish to know more? Click here to get a step-by-step guideline for Aadhar Card Update. Aadhaar Card may not be mandatory as of now, but the list of transactions requiring is on the rise. The 12-digit unique identity number has become a must for availing of various essential services such as getting a new mobile number, filing tax returns, opening a new bank account, investing money in financial products like shares, mutual funds and stocks, and the list continues. It typically takes you around three months to apply, submit data and receive the Aadhaar card. If you have already applied for your Aadhaar card, submitted the necessary documents and data but have not received the card yet, you can simply download a PDF version of your Aadhaar card, and you will be good to go. If you have applied for a fresh Aadhaar card and wish to download the e-aadhaar, you could use your Enrolment ID found on your acknowledgment slip to download the PDF version of your Aadhaar card through the UIDAI website. If you have applied for Aadhaar Card Update, you could use the URN or the UID of your previously held Aadhaar Card to access a soft copy of your Aadhaar. You can also generate a Virtual ID or VID and proceed with Aadhaar card download. You can just download, print and laminate the document and it will perfectly substitute the original card. Click here to get a detailed guideline of the Aadhar Card Download procedure. As India is gradually proceeding towards digitization, a number of useful and convenient service are being made available to the citizens. Gone are those painful days when you had to stand in a queue for hours to get a job done. When the Indian Government had started rolling out Aadhaar cards nearly a decade ago, the application process was quite painstakingly time-consuming as almost each minute process was manually done. Over these years, our government has progressed magnificently and digitized a major chunk of the Aadhaar process. Indeed, the government has come a long way. The e-Aadhaar is one such innovation that makes the Aadhaar obtaining process much more simple and convenient. A digital version of your Aadhaar is known as e-aadhaar. It can be downloaded from the UIDAI website and printed to be used as a substitute of the original card. It can also be stored as a soft copy on your mobile phone. The mAadhaar app also gives you access to your e-aadhaar, which is an interface to carry your demographic and biometric information on the go. 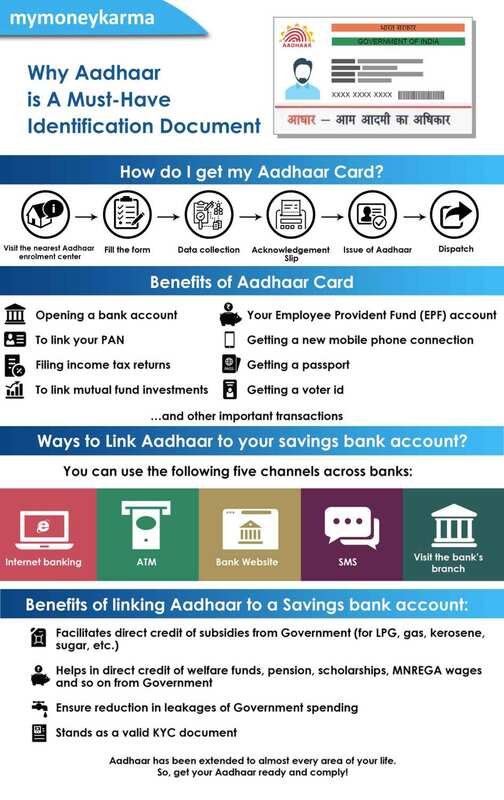 Aadhaar is a must everywhere these days - whether you want a new phone connection, open a new bank account or a new line of credit, apply for IT returns, etc. The e-Aadhaar works on behalf of your original Aadhaar card and you can reap the benefits of the original card through your e-Aadhaar in case the original card is unavailable. Click here to know how you can get your e Aadhar. Employees Provident Fund (EPF) is a great way to save money. It is an added advantage for the prodigal individuals as it compels you to save. If you are wondering what PF is, well, it is a part of your salary that is deducted automatically every month before you receive the salary and the amount is automatically deposited in your EPF account. You can apply for withdrawing the saved amount only after leaving the organization or firm. Apart from being a 'forced savings,' EPF brings along myriad benefits - it is a tax-free savings, automatic enrolment in Pension scheme, long-term investment with a handsome return, availing loan facilities from the EPFO, etc. Recently, The Employees’ Provident Fund Organisation or EPFO has made it compulsory for all enrolled employees to link their Aadhaar with the Universal Account Number (UAN) of the PF account in order to be able to continue enjoying its benefits. You can link Aadhaar with your EPF account online as well as offline. Click here to find out how you can easily link Aadhaar with EPFO. As mentioned above, the 12-digit Aadhaar number is not just an identification document, but a crucial and unique card which holds your biometric data. It is being linked to almost every available financial service in India. Every Indian resident can apply for the Aadhar card irrespective of any discrimination based upon their caste, creed, status, gender or religion. It is your personal choice whether you wish to enroll for the Aadhar card and enjoy the associated facilities. It is, at no time, a mandatory document. However, our country is gradually linking a plethora of services with the Aadhar card and it is strongly recommended that you get one for yourself. The Aadhar card holds a lot of information about an individual. Some of it can be found on the card whereas some information is stored in the UIDAI database and can be accessed through official procedures. What are my details that are stored in the UIDAI database? What are my details that I can find on the card? How do I get my Aadhar card? Visit the nearest Aadhaar enrolment center: While most of the follow up process can be done online, the initiation has to be done by personally visiting an Aadhaar Enrolment Center. The online portal of UIDAI can help you to find the nearest authorized center. You have to visit the center with the required documents and follow through. Fill the form: An Aadhaar enrolment form is freely available online (for download and print) in the UIDAI website. Alternatively, you can get it when you visit the Enrolment Center. Fill it up and submit it at the Enrolment center along with the necessary documents like Identity and Address Proofs. Make sure that you double-check all your personal data. Ensure that there are no errors. Data collection: Once you submit the form, the Aadhaar Enrolment Official will verify your documents and start the enrolment. In this process, your photograph will be clicked and biometric data like your finger prints and Iris scan will be taken. Acknowledgement Slip: When the enrolment process is completed, you will get an acknowledgement slip containing the enrolment number. This can be used as a substitute for the Aadhar card till the same is issued. The enrolment number in this slip will help you track the Aadhar card status through the UIDAI website. Issue of Aadhaar: UIDAI will verify all data and accordingly issue your Aadhar card. Dispatch: Once the verification is successfully completed, you will be alerted via email and SMS. The Aadhar card will arrive at your registered postal address through India Post within 3 months of application. Alternatively, E-aadhar can be downloaded from the portal. Aadhar card is not just an identification number or identity card. The government launched it with greater plans and eventually it will be required for multitudinous purposes. It isn’t restricted to Indian citizens only, but also extended to others. Aadhar card has liberal enrolment criteria. Parents can apply for the Aadhar card of their infants and newborns by furnishing the child’s birth certificate along with their own proof of identity and address. Such an Aadhar card is color-coded in blue and requires an update of biometric data when the child turns 5 years old and again at the age of 15. Foreign citizens residing in India can apply for an Aadhar card to avail various facilities that it provides. However, such a person must have lived in India for at least 182 days in the past 12 months in order to be eligible to apply for Aadhaar. However, one must keep in mind that Aadhaar doesn’t prove Indian citizenship. You must submit an identity and address proof while applying for Aadhar card. The following table contains a list of accepted documents. The Aadhar card has a plethora of benefits and the Indian Government is constantly upgrading and expanding the facilities that it provides. It is a vital document that every Indian must possess, although it isn’t mandatory. 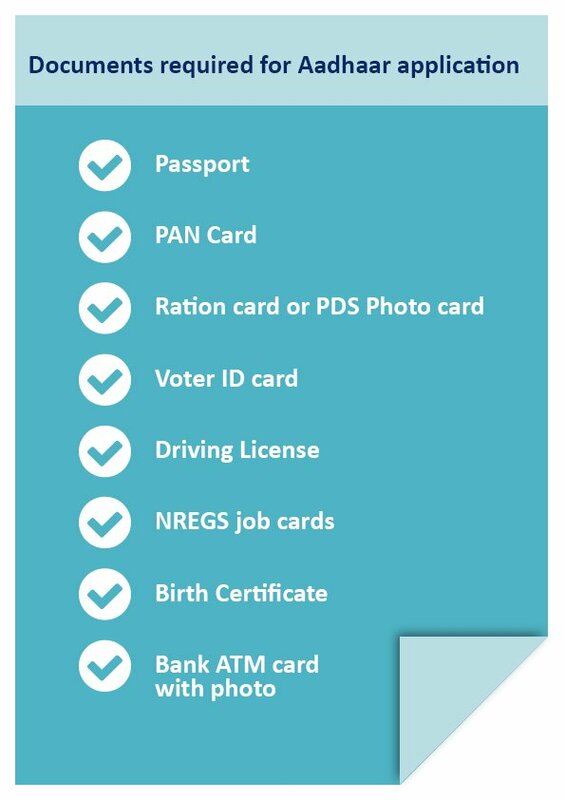 The Aadhar card can help you in the following ways. Identity Card: It is the most reliable identity card as it contains your photograph as well as your biometric data. The QR code in your Aadhaar can be scanned to verify the authenticity of the data. It is accepted and highly preferred in all government and non-government verification procedures. Residence Proof: Your Aadhar card contains your address and can be used as a proof of residence. 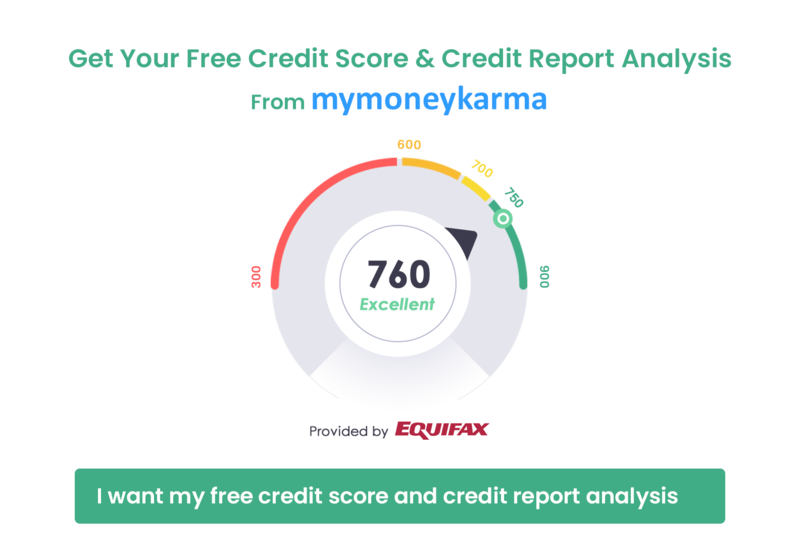 This comes in handy when you apply for a home loan or a personal loan by simplifying an otherwise tedious process of document verification. Government Subsidy: Unless your Aadhar card is linked with your bank account, you are not eligible to avail government subsidies on products like LPG cylinders, kerosense, rationed grocery as well as government schemes like Pahal and Atal Pension Yojna. Bank Accounts: Nowadays, opening a bank account has become extremely easy and hassle-free. All you need is your Aadhar card (along with your PAN card, of course) and you are sorted. It also helps immensely whenever you subscribe to any new or additional banking service. Income Tax: You must have an Aadhar card to file for Income tax returns. Phone Connection: In today’s world of digital expansion, almost every Indian owns a phone connection. Recently, the government announced that telephone connections need to be linked to your Aadhar card. No Aadhar card? Well, soon you might have to live without a phone. e-KYC: KYC, or Know Your Customer is a policy followed by all kinds of service providers where a customer needs to provide relevant documents for the verification of identity and address among other things. 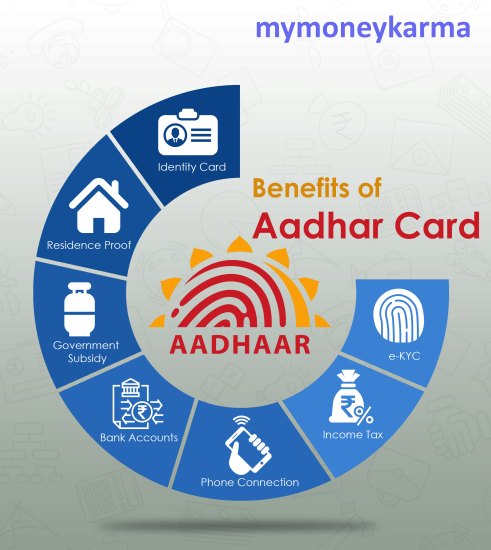 Aadhaar is one document that will get you through all KYCs – be it for a Gas Connection, a bank account, a telephone connection or investing in mutual funds. Well, that’s how important an Aadhar card is! If you already have one, that’s great. If you still don’t have one, please rush and get it at the earliest.